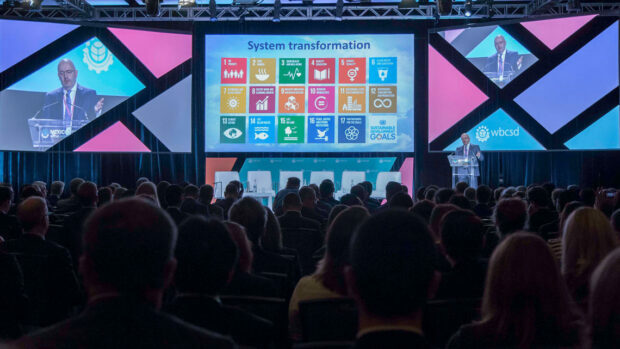 The World Business Council for Sustainable Development (WBCSD) and DNV GL conducted a global survey earlier this year to explore trends and challenges around how companies are currently working to align with the Sustainable Development Goals (SDGs). The survey drew responses from around 250 companies across 43 countries, and explores the current levels of SDG integration by business as well as some of the pervading challenges that companies are facing when integrating the SDGs into their strategic considerations. Most companies have taken stock of the SDGs, recognizing the potential to support them in enhancing their license to operate, innovate and grow. 78% of companies have already undertaken an analysis to identify priority SDGs for their organization. However, there is scope to broaden the depth of analysis. Only a third of companies have so far conducted a detailed examination of the SDGs at target-level, and a minority of companies seem to be considering how they can contribute to the SDGs through addressing negative impacts, or through engaging with their value chains. At present, the SDG agenda is mainly managed/owned by sustainability, communications and CEO departments and offices; challenges remain with regard to integrating the SDGs across other strategic functions. Overall, SDG 13 (Climate Action) is the most prioritized SDG among organizations, with 62% identifying it as a priority focus area. SDG 13 and SDG 12 (Responsible Consumption and Production) scored highest in Europe and Asia Pacific regions, while SDG 8 (Decent Work and Economic Growth) was the highest scoring SDG in North and Latin America. SDG 14 (Life Below Water) is the least prioritized SDG globally with only 10% of companies seeing it as a relevant topic. Although there is mounting literature highlighting the economic argument for realizing the SDGs, in many cases companies are struggling to articulate the business case within their own operations, posing a barrier to integration efforts. A further barrier to companies taking additional action is the need for greater clarity on regulatory and policy developments. Clearer policy signals would provide greater certainty to support SDG aligned business decisions. Setting corporate KPIs and SDG-related business goals, and enhancing reporting is a priority for most businesses over the course of the next three years. Hey Buddy!, I found this information for you: "Business is engaged and sees the SDGs as a strategic opportunity, however integration challenges remain". Here is the website link: https://www.duurzaam-ondernemen.nl/business-is-engaged-and-sees-the-sdgs-as-a-strategic-opportunity-however-integration-challenges-remain/. Thank you.